Hot original music delivered with power, energy and sass; that’s what Sister Funk guarantees in every performance. Sister Funk is being recognized for their 10+ yr accomplishments in music and is being inducted into the Women’s Hall Of Fame in Seneca NY. 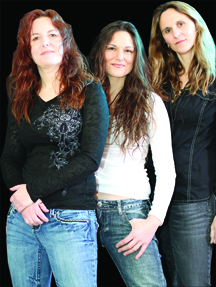 For more information about The Sister Funk Trio, click here.